CALL LISTING AGENT, MARK ADAMS, AT 8804.237.8585 FOR MORE INFO. Lovingly taken care of for the last 35 years, this home offers mostly brick siding (some aluminum), 3 or 4 bedrooms and an oversized 2-car garage w/workshop. Mostly wood floors throughout w/a formal living room, casual family room w/brick fireplace fitted w/gas logs, a large, eat-in kitchen w/wall oven, cook-top & dishwasher and 3 or 4 bedrooms. Flex spaces include a 3rd bedroom, which the current owner used as a dining room, and an office/study space off the family room, which offers a closet and could be utilized as a 4th bedroom/play room. Whether you are a first time buyer, a young family or are downsizing, this floor plan will work for you. 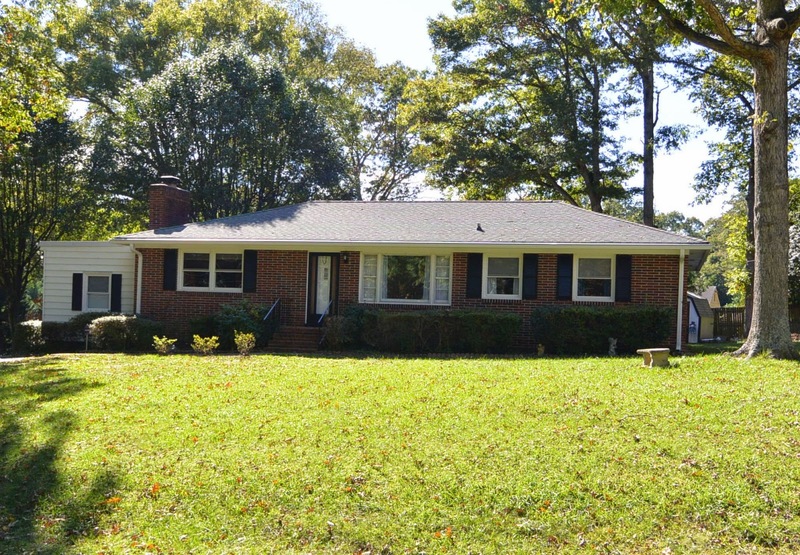 Extra features: Replacement windows (except for bay), Washer/dryer/fridge convey, warm oil heat, new paved driveway, gutters w/guards, new gas logs, central air, pull down attic w/floor, 200 amp service, rear deck for grilling and alarm system. Outside you will find an oversized 2-car garage w/workshop with electric and AC unit, as well as a storage shed for all your yard/garden supplies. Near 288 & Powhite. ** For additional fee, Runny Meade Pool can be joined. Use of neighborhood lake can be yours by paying neighborhood fee (voluntary).